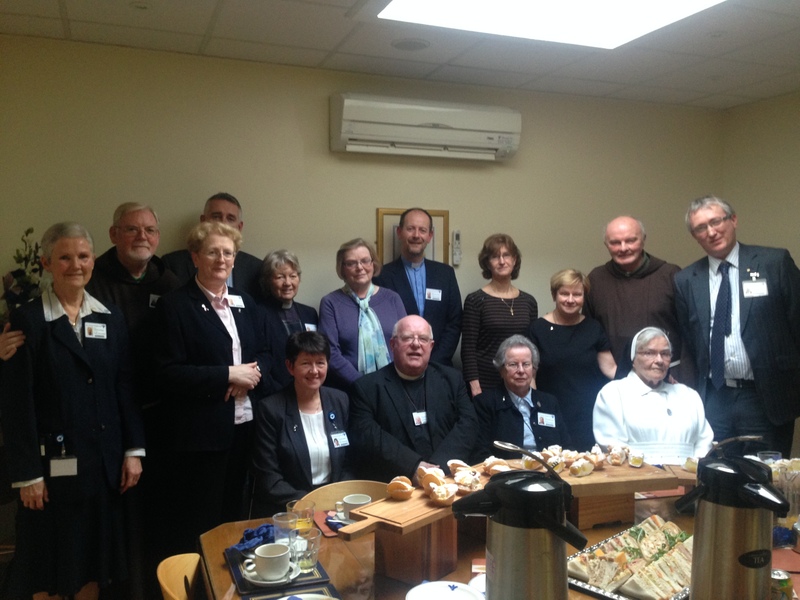 Archdeacon Robin Bantry White was honoured by the Management and fellow Chaplains with a function at the Bon Secours Hospital Cork recently to mark his forthcoming retirement as Chaplain next week after fourteen years. Today (Friday, 21st February) marks the start of a seven-day countdown to the Archdeacon’s retirement which will be marked by a number of farewell ceremonies including in the Parish of Moviddy Union, and the hospitals where he is assistant chaplain. There will be a Diocesan farewell after Choral Evensong on Thursday, 27th February at 8 p.m. in St Luke’s Church, Douglas, Cork, when Robin Bantry White will preach at the conclusion of 35 years of ministry in the Diocese, including the last 20 serving as Archdeacon. Photo: Members of the Bon Secours Hospital Pastoral Care Team with Mr Harry Canning, Hospital Manager, Ms Ber Mulcahy, Director of Nursing, Mr Andrew McCarthy, Mission Team Leader, join with Archdeacon Robin Bantry White, and his wife Faith. Speaking at the function Ms Anne Bermingham, Director of Pastoral Care paid tribute to Robin’s ‘caring and generous ministry’ with patients and in the Pastoral Care. Hospital Manager Mr Harry Canning thanked Robin for his many years of dedicated service to the Bon Secours Hospital, and wished Robin and his wife Faith well as they move to County Kilkenny. This entry was posted in Archdeacon, Chaplaincies, Church in Society, Diocese, Retirements. Bookmark the permalink.